This facility was created through a joint effort between several state and federal agencies. The project received $314,000 in grant funds from VSRFDF. The facility has two double-wide ramps and a high volume parking lot. There is no fee required to use this ramp. The facility has handicapped accessible portable restrooms. It is located adjacent to Wallace's Bait and Tackle. Touted as the "Cobia Capital of the World", this site is especially popular for cobia anglers. 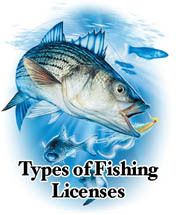 Croaker, flounder, spot, puppy drum, gray and spotted seatrout are also abundant in this area. The Facility is located at 356 Dandy Point Road in Hampton. From Interstate 64 E/W Take East Mercury Blvd. (US 258). Turn left onto Fox Hill Rd. (VA-169). Stay straight and slightly left and Fox Hill Rd. changes into Silver Isles Blvd. Turn left onto Beach Rd. Turn left onto Dandy Point Rd. The ramp is on the left-hand side end of Dandy Point Rd.